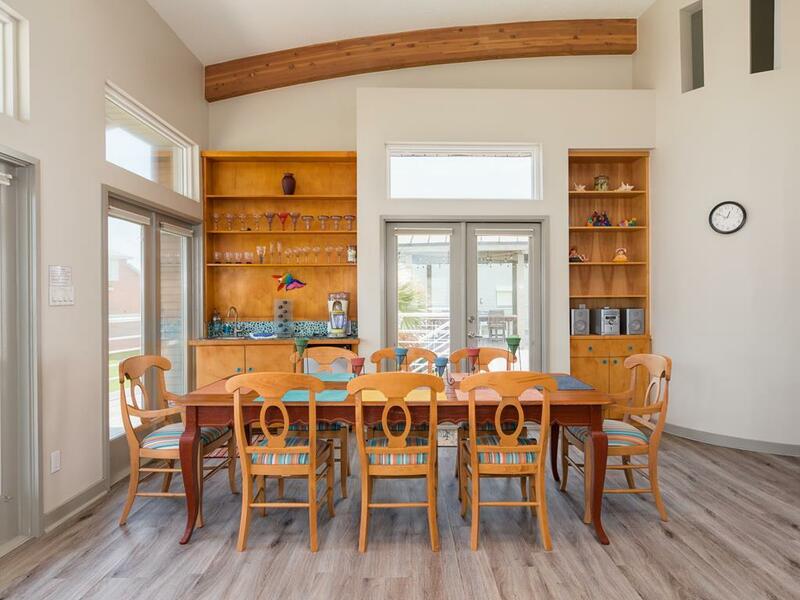 5th row, partially covered deck, extensive media library (movies, books, board games & puzzles), custom shuffleboard table & unique architectural touches! 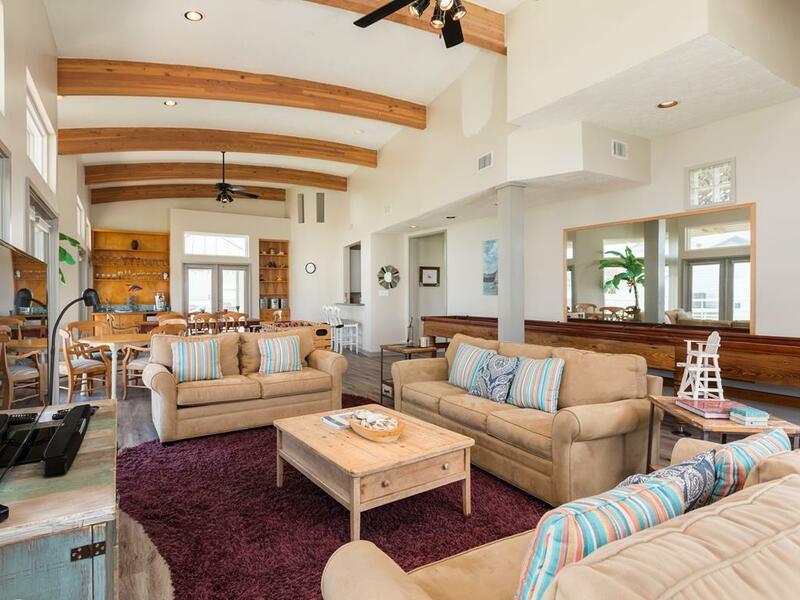 This gorgeous beachside vacation rental is the perfect choice for multiple families or couples traveling together. A large living area is the perfect space for family game & movie nights, with a regulation-sized shuffleboard table hand crafted from 200-year old cypress plus a bespoke "Balinese Room" foosball table. 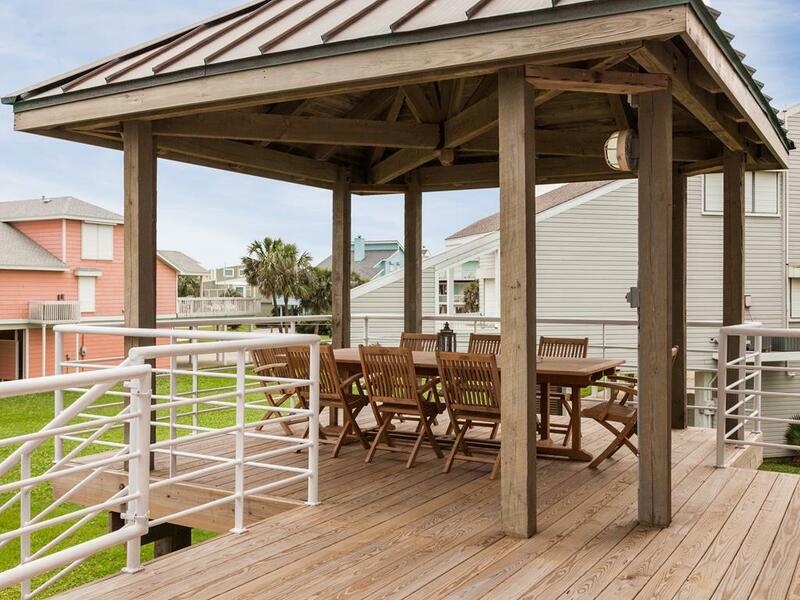 With its view-conscious railing style, the Gulf is easily visible from the huge deck and its spacious covered gazebo with a dining table. 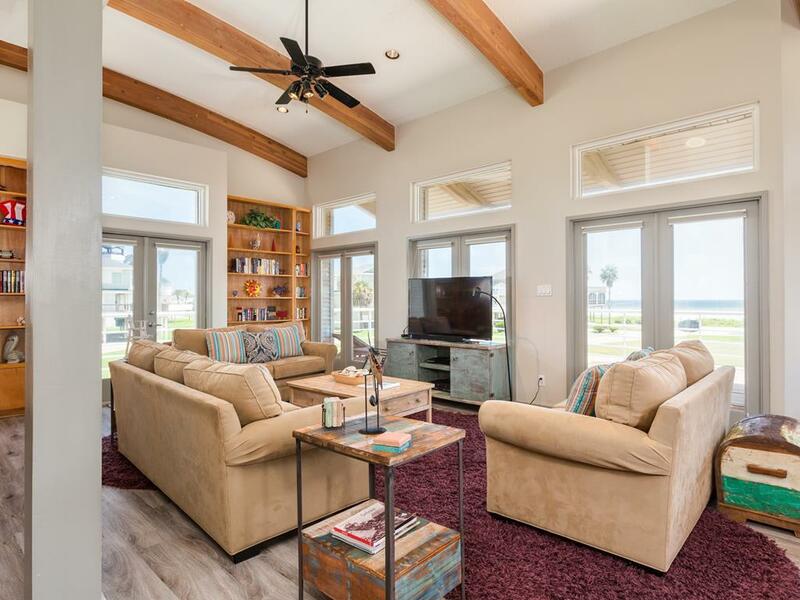 Amble the short distance to the beach or take advantage of the extensive media library that includes movies, board games and puzzles. Island living at its best! Layout of this property was wonderful, very spacious. Property does need some upkeep though, half the lights in living area were out, adult beds were very uncomfortable. but, overall, a beautiful, enjoyable stay. Our Property Services team was happy to address replacing the light bulbs. We hope to see you back again soon! BALINESE was absolutely perfect. Just a few steps to the beach and the view from the house and deck(s) was awesome. We loved having the master downstairs and the addl bedrooms on 2nd level, provided privacy for all. The foosball was definitely a hit. I would definitely stay here again. Really clean and well appointed and great for large families. We had 4 families ( us and our three kid’s families) so had 8 adults and 7 grandkids from 2 months old to 9 years of age. We had plenty of room inside and great outside seating areas too. The shuffleboard table and foosball tables in huge living room were big fun. House has awesome beach view and is only 1/2 block from beach. We already booked for next year! This house is very nice and clean. We loved the bedroom arrangements. The kitchen is small but well equipped. Everything was very nice. it would be nice if ALL beds were made on arrival. 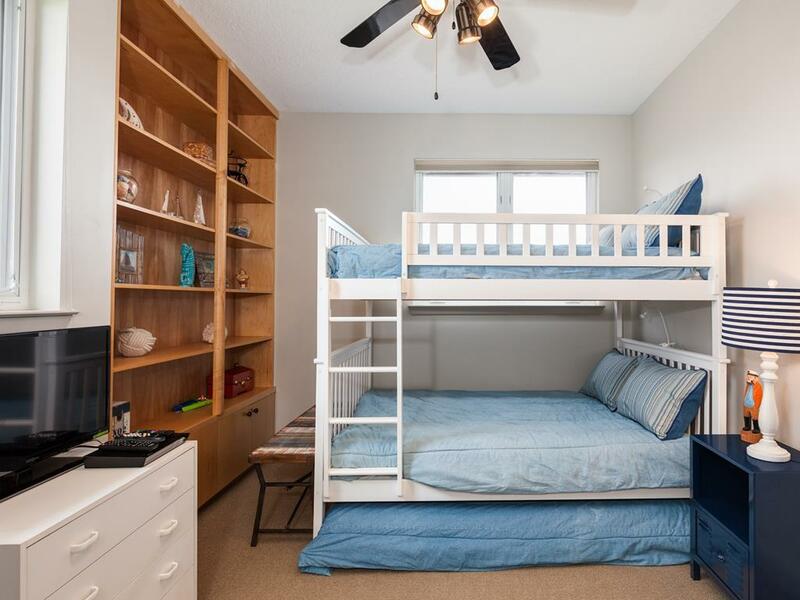 Most were but not the bunk beds. The kitchen equipment was very complete. 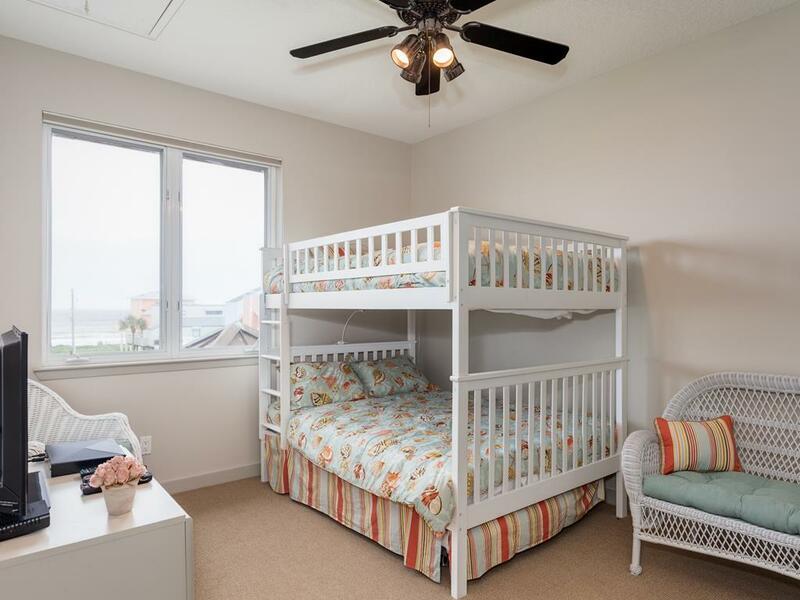 Lots of space and fun games, and close to the beach! Perfectly designed, perfect location....perfect, perfect, perfect. My only complaint was the weak WiFi signal in the home. This needs to be addressed. This is the perfect older kid/family house. The hand shuffleboard was the center of activity! Great space for a group to socialize and the shuffle board was a big hit. This house was tastefully decorated and very functional. As an interior designer, both qualities are important to me. 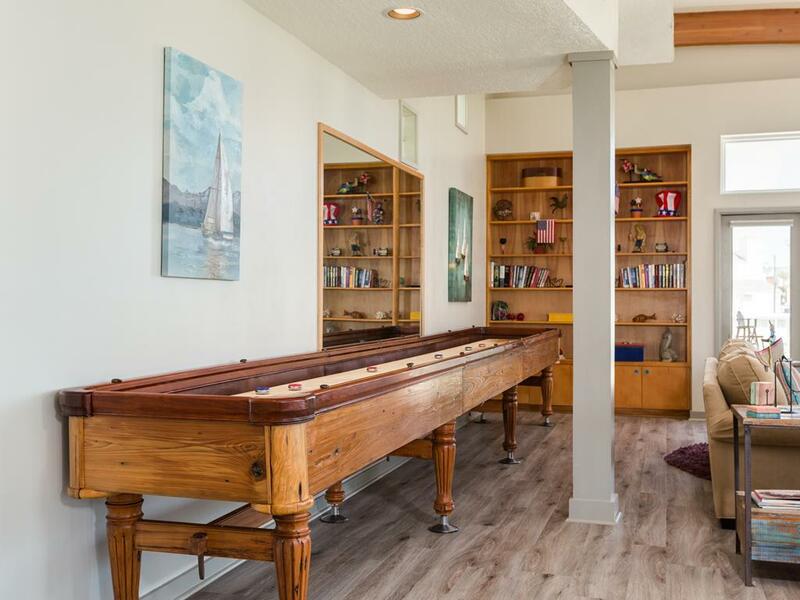 It is very family friendly home with fun activities for the kids...foozeball and hand shuffle board in the main living area. This is an excellent house for 10 to 12 people. Very roomy and comfortable. It was equipped with all the amenities you would find in your own home. This property was perfect for a multi-generation family getaway. 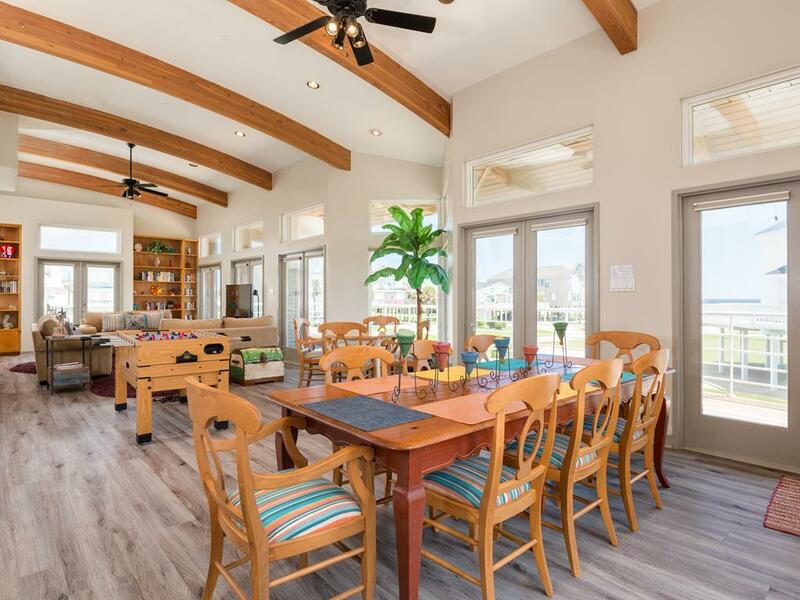 With plentiful seating areas for dining or relaxing, everyone had a place to call their own. The kitchen was a bit small, but well-equipped. As the beach was a short walk, we enjoyed using the outside seating areas for quick picnics allowing the kids to return to the water quickly. The deck was above all our family's favorite. The view of the ocean was amazing! There were reclining deck chairs and two separate tables with great outdoor lighting. Our family would definitely stay here again. 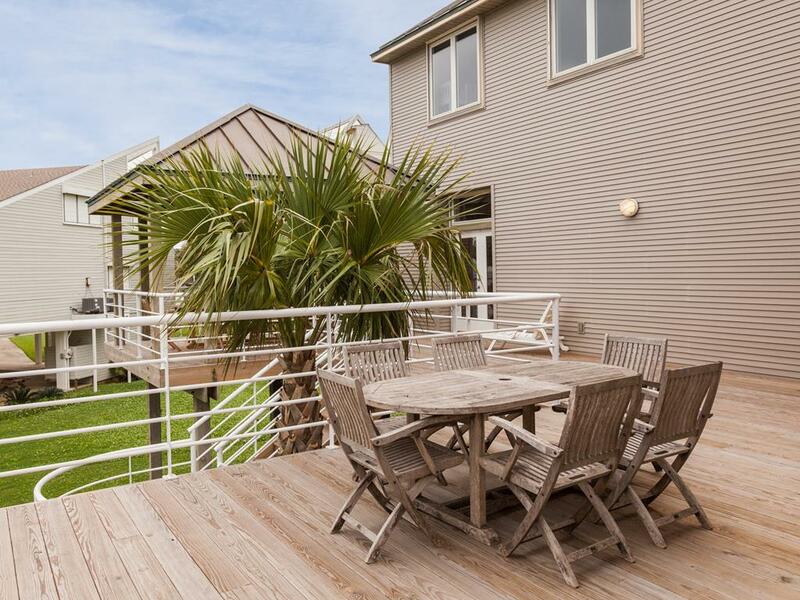 This property is an architectural gem in Pirates Beach. Everything that was provided was just enough for what we needed. Kitchen was properly organized. Foosball was entertaining for the entire family. Each family was able to break off into little nooks of the house for privacy. The swings on the bottom floor were charming and nice to enjoy the breeze. For being considered a beach side property, the view and location was prime. The entire family had a fabulous time here. This is a great house for a bigger family. the main living / dining area is spacious with lots of glass affording awesome views. the downstairs master is very private, leads directly out onto the deck, and has beautiful views. 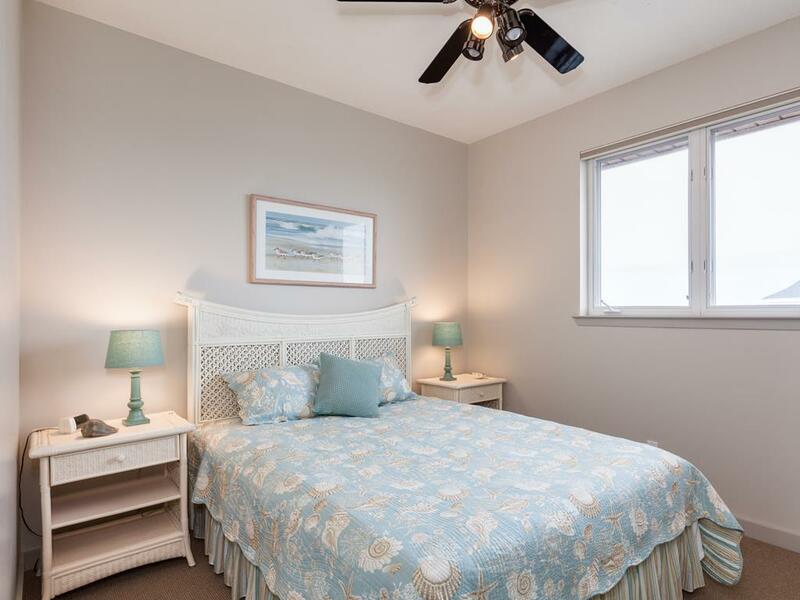 the upstairs bedrooms are large and most have ocean views. 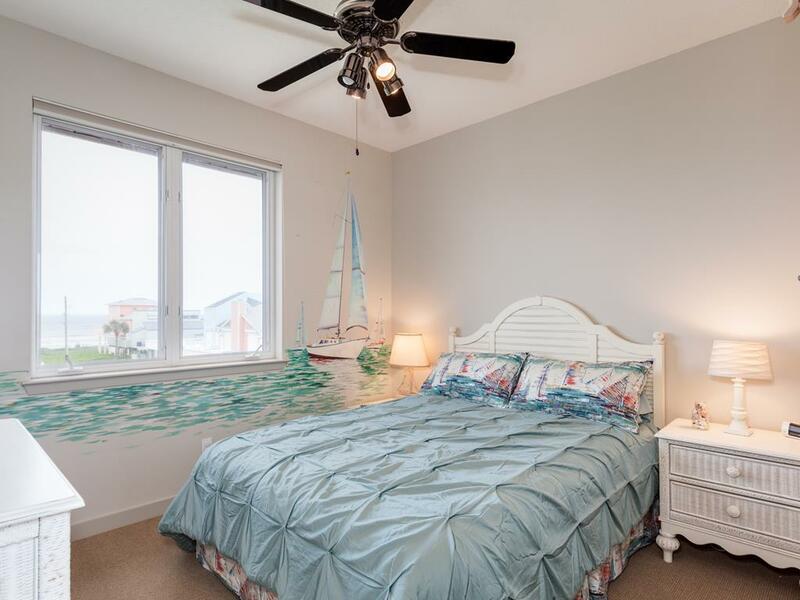 the location is just steps from the beach. Thanksgiving this year was the best! Our family of 10 stayed in The Balinese for 4 days. Our ages ranged from 7-70 years old. This was our first time to rent any beach house and a friend had told us about Sand. 'N Sea. From the time we checked in to checking out it was such an easy and stress free vacation. The Balinese was like staying in a 5-Star Hotel. 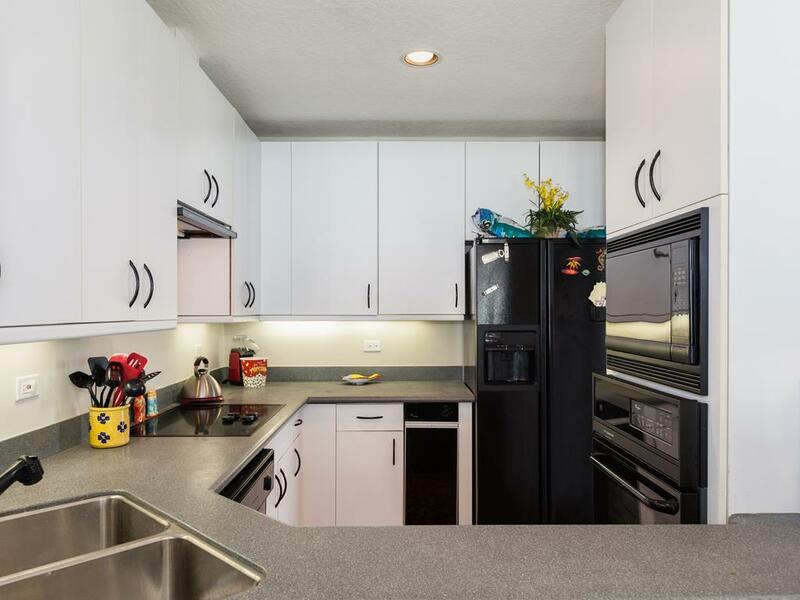 The kitchen was furnished with every type of pot, pan, and cooking utensil that you needed. The beach was about 4 houses away, but we had a fantastic view from the deck and the house windows. We loved hearing the waves at night when we opened our windows. The water at the beach was warm enough for the grandkids to swim there. The family den was far away enough from the bedrooms that we could have fun playing games while some retreated to their bedrooms for the night. The library had many games and movies! The house was extremely clean and it did look brand new like other reviews have said. We loved having a washer and dryer on the first floor for washing beach clothes and towels. We had our Thanksgiving meal outside under the Gazebo and the breeze that day was perfect! The deck was fantastic and we sat out there every morning and drank coffee as the sun came up. This was a dream vacation for our family! Thank you Sand'N Sea! This property was PERFECT for our needs. I was a guest of the people who had the house one weekend in September and she had the weekend dinners catered buy the owner of the house, who is a private chef! Not only was the house and view great but so was the food! I would definitely rent this house myself and hire the Chef! Beautiful, spacious, quiet house, amazing view. 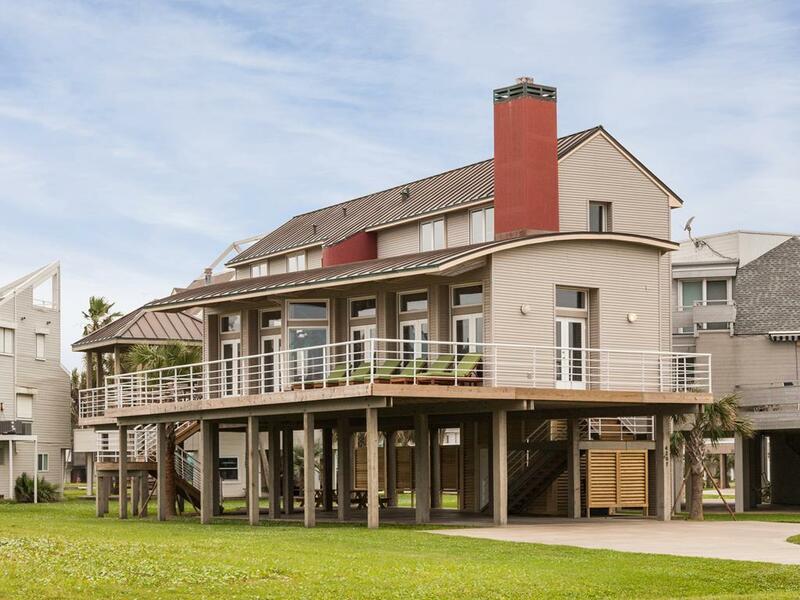 Best house we have rented in Galveston. Absolutely loved this house! We had a fabulous July 4th vacation in this home! It was spotless and looked like a new home! 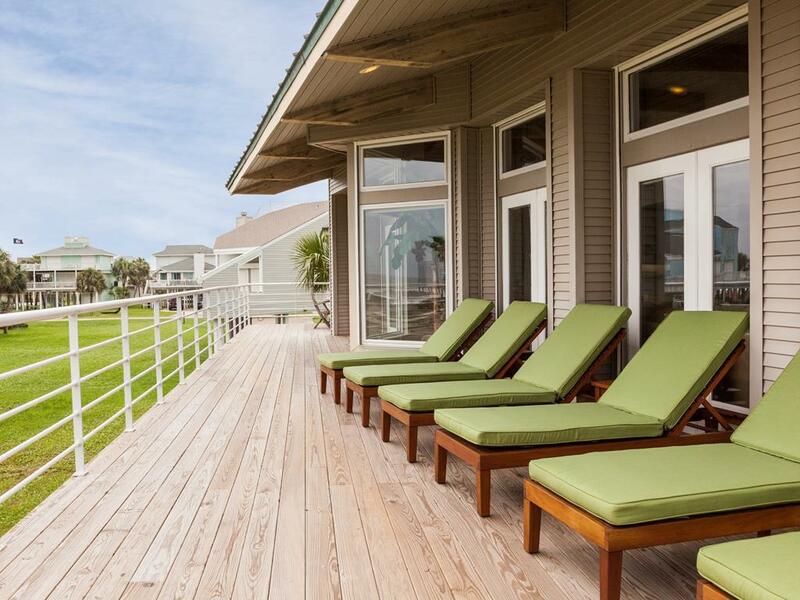 Great view of the ocean and very spacious deck area. We had 10 people stay in the home and this place allowed for plenty of room - no one felt cramped at all. Place is fully stocked with everything you need. And, yes, the game table was a hit! Sand & Sea provided a wonderful stress free experience. Will definitely do this again ! 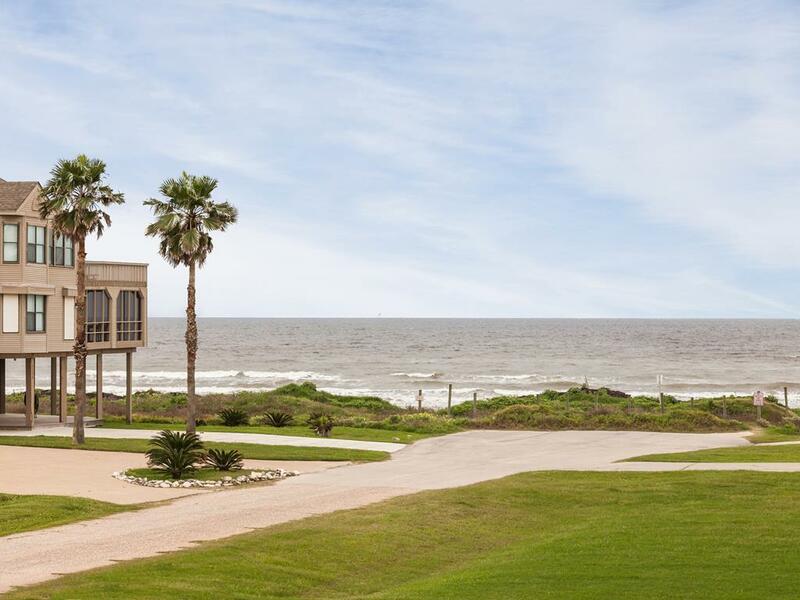 Great house, nice view of the beach, lots of room. The game table was a hit. Fantastic deck area. Loved the gazebo. Wonderful home, spacious and clean. The carpet was wonderfully clean. This is a rental I would love to own as a retirement home. Thanks Sand & Sea for a wonderful experience. Thanks Raven and Shea for being so nice to me. peaceful and Serene! Truly magical experience!! My family and I stayed over Easter weekend. I have been renting beach houses in Pirates Beach for over 30 years. The is beach house is one of the nicest ones I have stayed at. 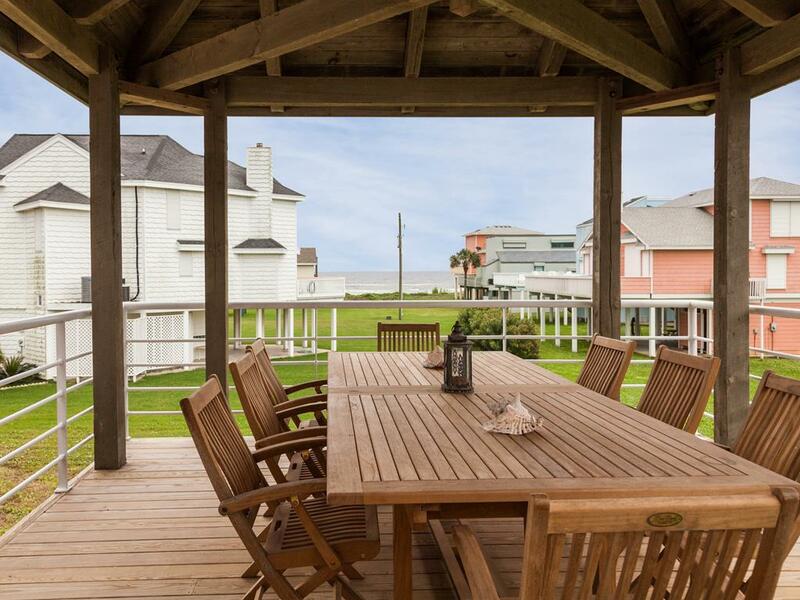 It has a great view of the Gulf, tons of outside decking at the beach house level. It also has a very nice open and spacious feeling at the ground level for kids to play at and have cookouts and fire pits. The house on the inside looks like it is brand new. Very open and spacious. 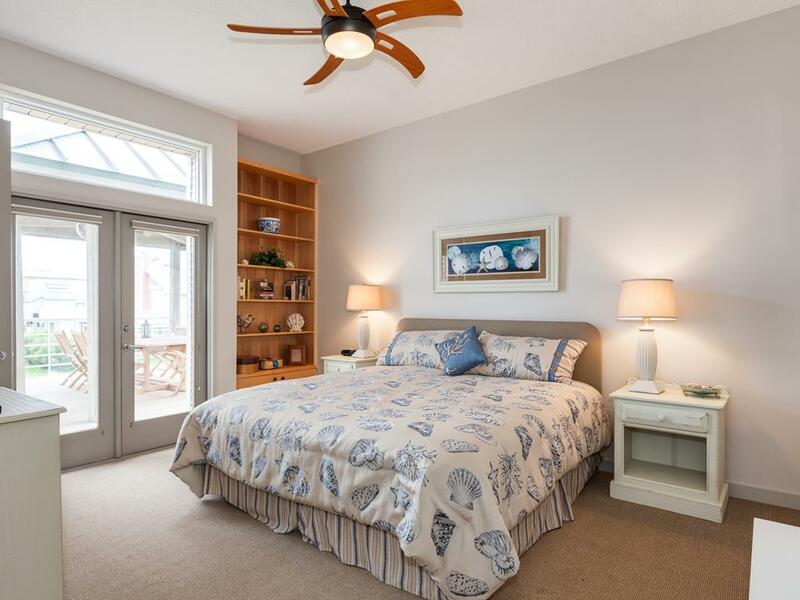 The master bedroom is on the main level , with all of the other bedrooms on the top floor. That allows a lot if space for a bug gathering without anyone feeling cramped. The house is spotlessly clean and newly painted. I highly recommend this house. Have fun.